…but their help isn’t always appreciated. 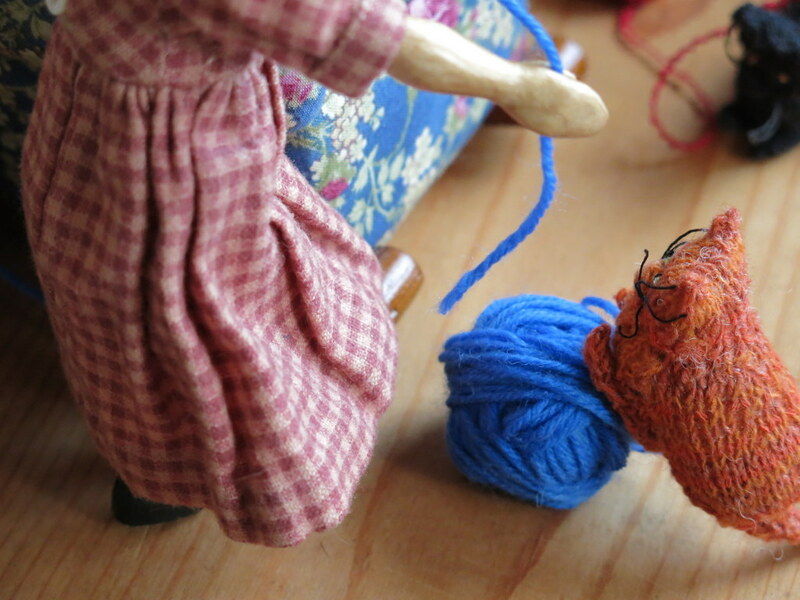 …and now Rose has no more knots, snarls or unexpected ends of damp frayed yarn. Love this it’s so true. This has happened in our household many times also. 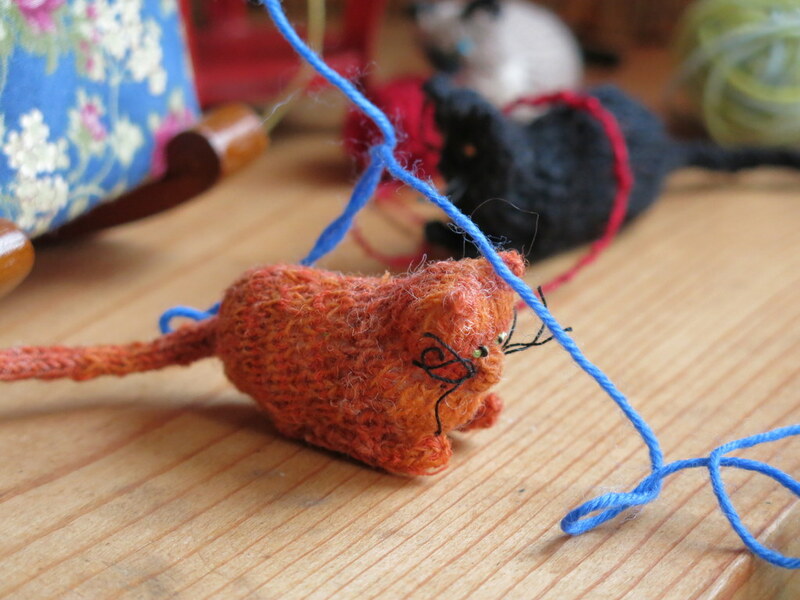 We have three cats who think me knitting with yarn coming from a ball is a fun game for them. 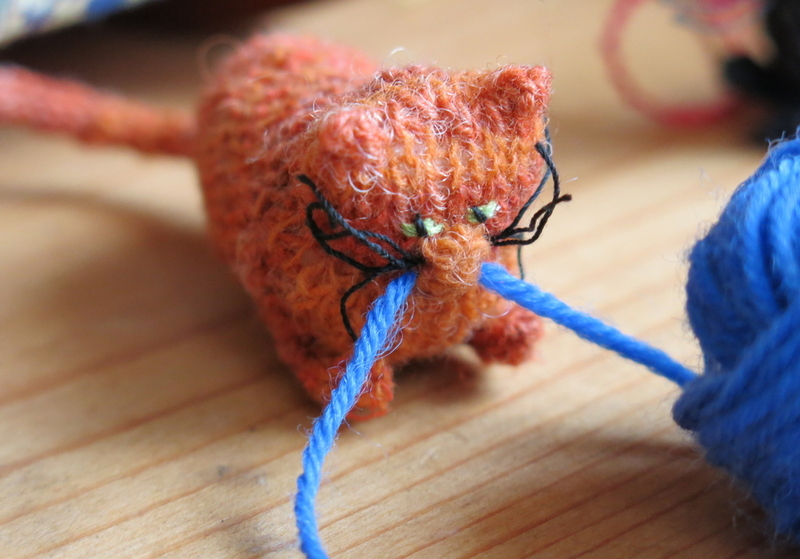 We find it amusing to play with the cats and a piece of string, so it is not that surprising when they get all excited when they think we are playing with string…I was a little distressed at having to splice the sock yarn with only about three inches left to knit! I feel your pain at having to do this. 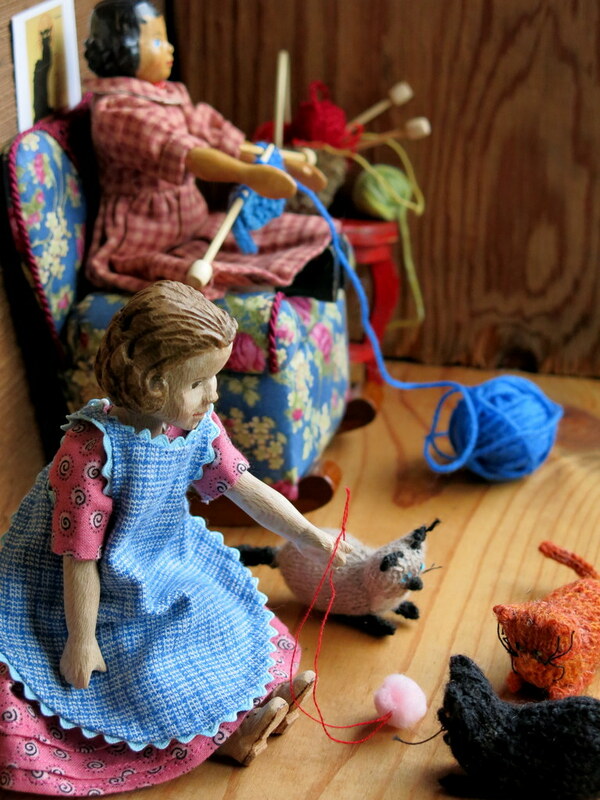 I always smile at these cat antics, remembering my beloved Gracie Mae, who behaved in the very same way. We had her for 17-1/2 years…still miss her…pets make life so much brighter…as well as Hittys…and youngest members of families. 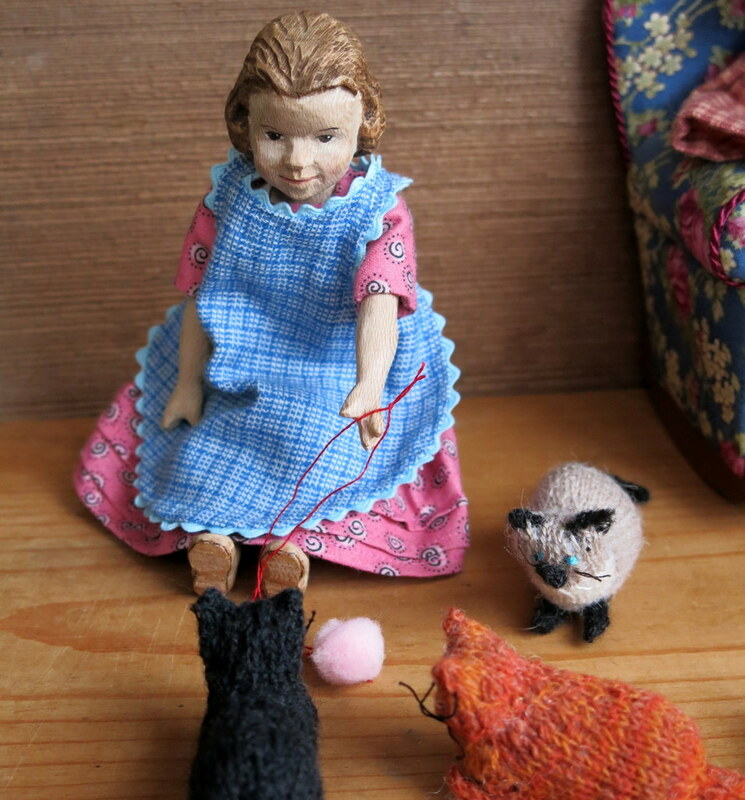 I am sure Gracie May was a wonderful feline friend, to have you remembering her so fondly still…they do brighten up our lives considerably…I can’t imagine our house without a warm, aloof, playful, imperious kitty. Oh so very catlike!! 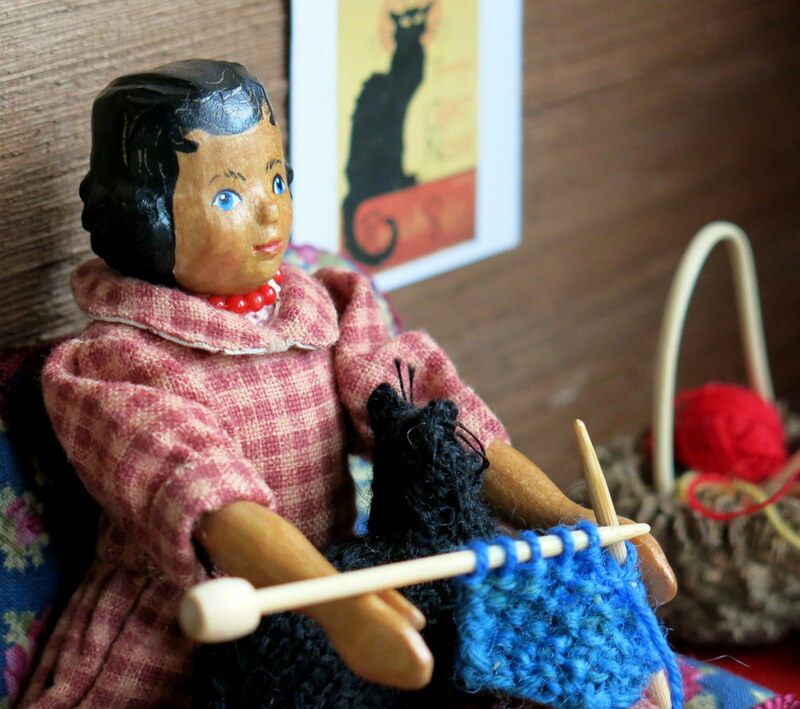 They are always so helpful with sewing,knitting, reading…the list goes on. Love the photos and the story. 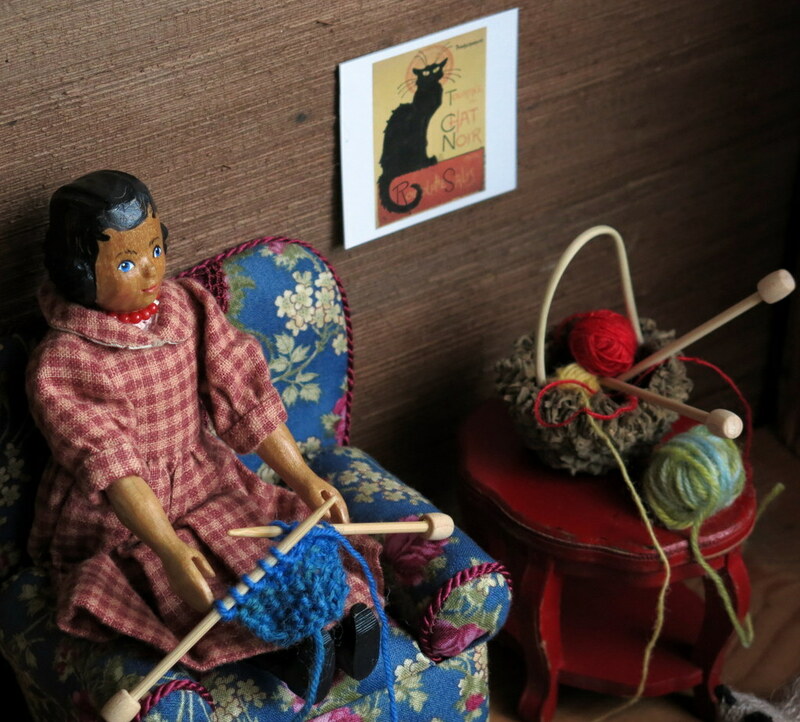 Wonder what Rose is knitting??! Our cat especially likes to sit on top of paper patterns as I try to cut out the fabric…full of sweet helpful mischief.